Milk thistle is used in traditional Chinese medicine to treat liver ailments. And, as is the case with many folk remedies, modern experimental science seems to confirm its efficacy. In one study, the milk thistle extract silymarin was given to workers exposed to solvents. It improved their liver function of significantly more than did placebo. In another, it was found to reduce damage to the liver caused by psychotropic drugs. Studies like this seem to suggest that milk thistle contains compounds that protect the liver and can even repair the damage done to it. There don't seem to be any experiments examining the effects of milk thistle on the run-of-the-mill hangover. 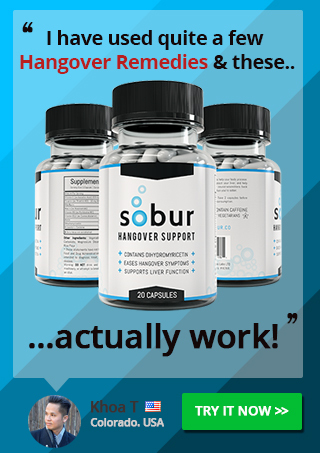 (And we're hoping your typical hangover is far removed from long-term solvent exposure.) But there's some anecdotal evidence that milk thistle extract could ease hangover symptoms; perhaps by helping the liver to process toxins. If you'd like to do your own experiment, you can pick up some milk thistle extract. You're supposed to take it before you drink.